What a fabulous day for the beach! Today, campers and counselors slathered on sunscreen, packed a bathing suit and towel, and boarded the buses to head off to the shore. There are three very popular beach day schools of thought at Appel Farm, when it comes to how campers spend their precious beach day time. First, you’ve got your Beach Enthusiasts – they probably wore their swimsuit on the bus and ran directly for the Appel Farm “cone zone” to drop off their towels, before making a run for the water. These campers splash in the waves, build sand castles, and will only return when the lifeguards have made the final call to go back to the buses at the end of the day. They return to camp sandy, salty, and completely satisfied. Then, you’ve got your Boardwalk Kiddos – these kids love to grab a massive slice of cheesy pizza from the Avalon Pizza Shop, and then take over an outdoor table or booth with their friends to bask in all the greasy goodness! After that, they might head next door to spend some time in the arcade, taking on every single “play-till-you-win” crane machine. They might even drop in on the boardwalk ice cream shop for a sugar cone full of ice cream, or some refreshing water ice. Finally, you’ve got your Avalon Townies – the campers who grab a counselor and a group of friends and head right into town! 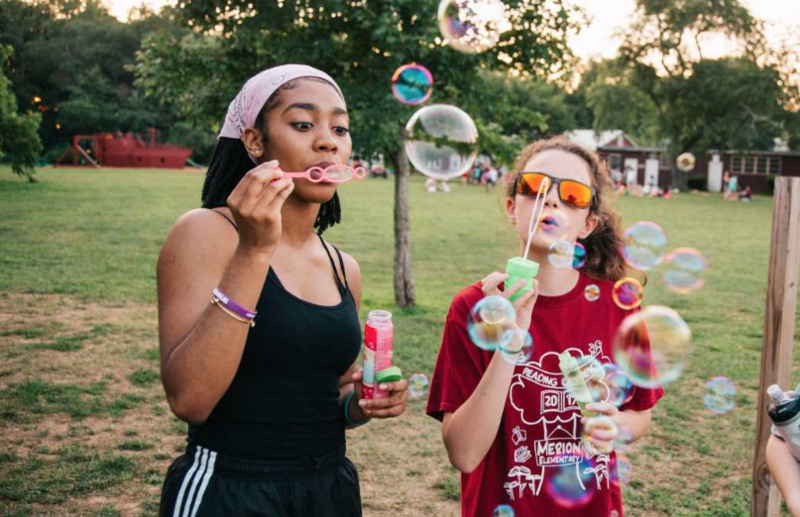 Just 3 blocks from the beach, campers can buy toys and souvenirs from the local 5 and dime, bask in the limitless choices at the Avalon Wawa, or buy donuts or ice cream or dozens of other sweet treats from countless ice cream shops, bakeries, and snack stands. Most Appel Farmers include all 3 of these adventures in their beach day planning – when your camper gets home, be sure to ask them all about Beach Day, where they went, who they hung out with, and what they ate!